"What I love about this place is the warmth. We're sincere and don't fake that. It comes from my mother." 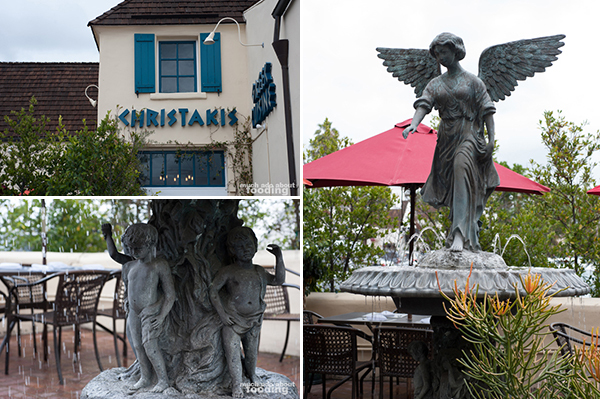 The moment you walk in through the doors of Christakis Greek Cuisine in Tustin, you notice the endearing photographs of a family's many generations from their travels, all emoting love for each other. Italy, Greece, and other places have their spotlight in the shots but constant is the everlasting happiness the family members show for one another, and it is that bond that has helped fuel the restaurant since it opened its doors April 1, 1996. With the recent closure of Nieuport 17 in the same plaza, we were interested in seeing what else around had withstood the test of restaurant time. Christakis reached out about their recent 19th anniversary so we went in to meet the owners, siblings Michael O'Hare Wallace and Sarah Wallace Rasmussen, and taste their authentic dishes. The restaurant had its start in 1996 after the siblings passed by the location with their mother. Having worked in restaurants all of her life, Wallace had always dreamed of owning a restaurant but did not commit to one until her later years. Having immigrated to America during wartime when she was just twelve, hard work and a welcoming personality was important despite growing up poor. They took the leap and purchased the restaurant. Unfortunately, three years into owning and running Christakis, Michael and Sarah's mother passed away in 1999 and a few years after that, so did their father. However, the restaurant pushed forward, resonating with the love that built up the restaurant. Michael: "You have to have good food but there's the warmth. She was my hero and overcame so many obstacles - we have to remember her. 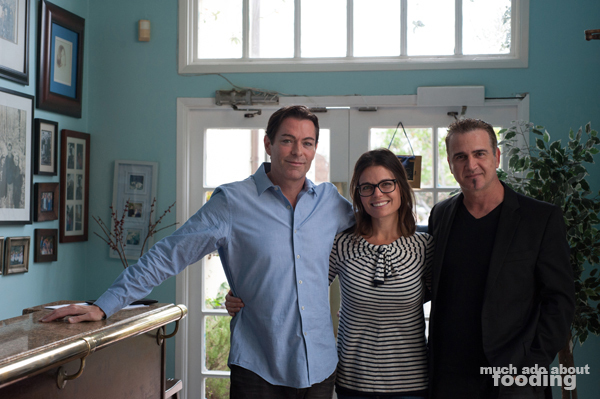 The food's always going to change a little bit but there is a lot of love here still." The General Manager, Vasilis Tzoytzoyrakos, who has been with the restaurant since 1996 and is practically family pointed out that his experience growing up in Greece proved that if you approached a person's home who was throwing a party, they would open the door and pull you inside to enjoy it with them. That philosophy is meant to carry through the restaurant as well. For the regulars, that means that there will always be a table ready even if it means dragging in makeshift tables from neighboring tenants. 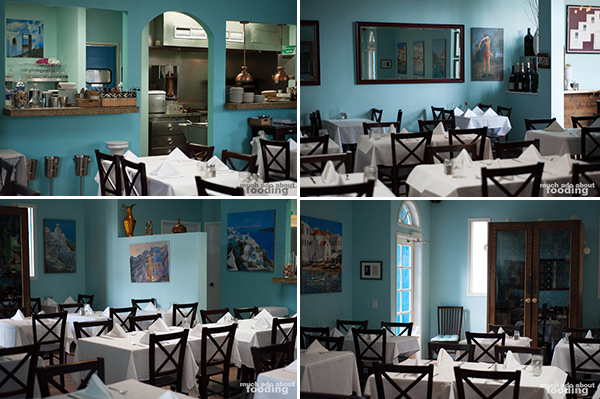 For new diners, it means that they will be remembered and their special occasions celebrated. Overall, an experience is created with a welcoming air, live entertainment at night, and comforting foods. Vasilis: "We know them all by name, Mike had the great idea of customized wine glasses for regulars but we ended up with so many customers that we ran out of space! One thing I learned from his mom was that she had the ability to remember the names of the couples who would come. I thought that was neat so we tried to keep that same thing going. It's not like the distant relationship that you get from other restaurants. That's one of the things Greece has - the hospitality. They're going to take you home, open the doors, and cook for you even if you just met them so we want to do the same thing here." The teamwork and community is apparent during our time visiting as Vasilis and Michael alternately tell stories of customers and their experiences with different groups. 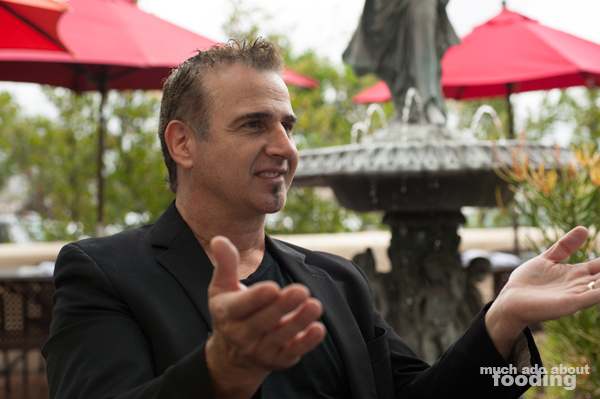 Michael's past stint at a corporate Los Angeles restaurant revealed regulated, robotic processes with standards such as spending only two getting-to-know-you minutes per customer before moving on to the next one; his personal experiences of visiting restaurants for 30+ years and still not being recognized by the staff cemented the belief that Christakis had to be different, had to be like Mom was. They described the restaurant to us as a "hugs and kisses" place where the staff members remember customers' names, where they like to sit, and what wines they enjoy drinking. Those practices have stayed. What has changed would be the adaptations from the original recipes of the Wallaces' mother but not all change is bad. "When I ask, 'How is everything?' and they say, 'Okay,' it's not good enough for us. That's just their way of being polite for an experience they don't like, and we can't have them not feel special." Christakis' chef has helmed the restaurant for the past 12 years having come from 10 years at Nieuport 17 and more at the Irvine Hyatt. Chef Nick Rodgriquez is praised for being so flexible and skillful enough to look at a recipe and perfect it. Every weekend, a new special is attempted as well to gauge the clientele's reaction to it; this experimenting is fueled by the recent desire by many restaurants to modernize classic dishes. One such trial involved recreating a traditional Greek rabbit stew using top sirloin which was a hit. Constantly, the restaurant is looking for ways to evolve their menu to fit the needs of their audience's times outside of classic, traditional dishes, and the chef tells us how perfect he tries to make every dish every time. They are also so customer-focused that when a potential diner came in who was vegetarian, they created a plate that has now become a staple on the menu and features her name! What else fuels the rotating specials? Aside from the classic Greek dishes, items inspired by the many islands and sections of Greece find their ways to the forefront. Since every village and community in the country has its own niche of cuisine, the menu choices are made based on the best of all the parts. This pulls in an element of education with the guests who may wonder what certain dishes are and where those are from; in fact, some regulars have been gotten travel suggestions from Vasilis who drives a majority of the menu's direction and composition. 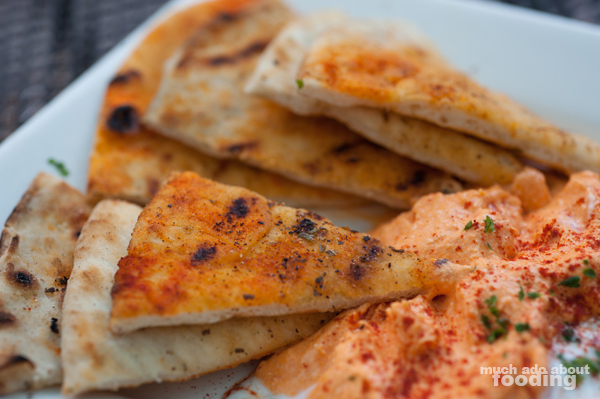 "Hummus - I'm Greek and very proud. It's not Greek. It's Lebanaese but it's so popular so what? People say ours is the best they've ever had." We began our noshing with a trio of their Hummus ($8 - blended garbanzo beans, tahini, Greek olive oil, garlic, and lemon juice), Tzatziki ($8 - yogurt, cucumber, dill, and garlic), and Kopanisti ($9 - sauteed red bell peppers blended with Feta and mild jalapenos). The kopanisti was specifically developed by Vasilis because an original ingredient (a spicy Greek cheese) is not allowed to export from Greece; his version involves Feta blended with a hint of habanero for a spice kick. We loved just how unobtrusive the tahini in the hummus was - we could barely taste the signature bitterness that comes with not blending everything together properly, and we really enjoyed the creamy texture. 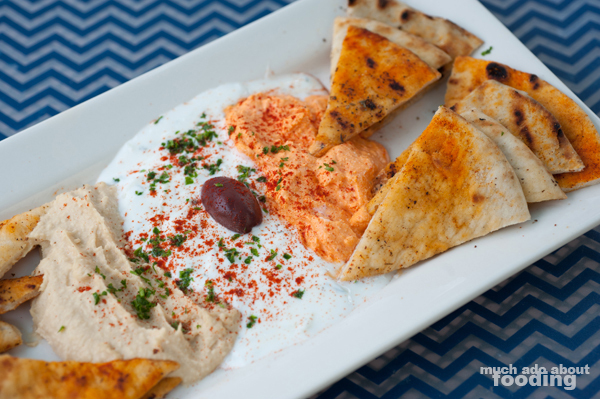 The tzatziki was refreshing and bright but the kopanisti was the star of the three, giving a hot and smooth feel to the overall dish. Then there was the pita which is not like the ones provided at other restaurants; instead of just being thrown on the grill prior to serving, these are brushed with olive oil, lemon, and spices first. The flavor dimensions this opened up were phenomenal. 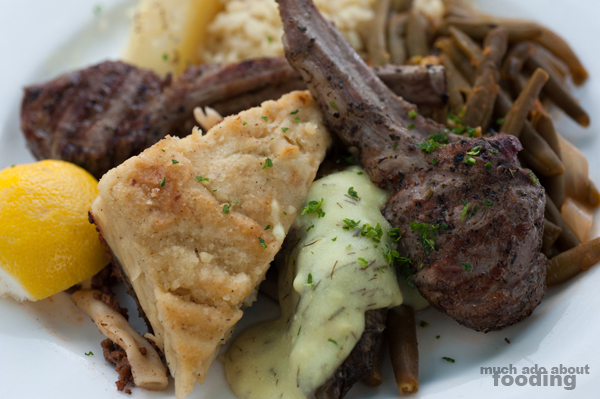 The absolute highlight of the dishes we tasted, however, was their rack of lamb. 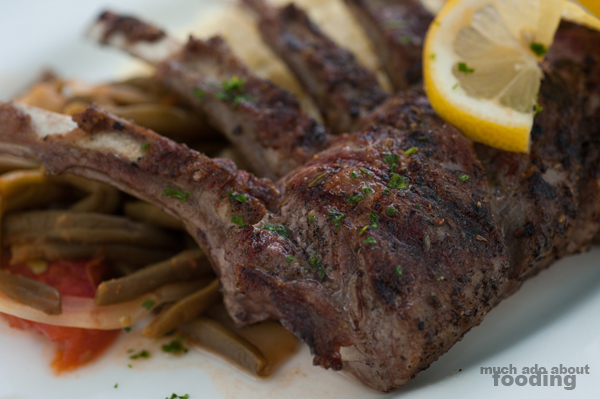 Marinated in olive oil, salt, pepper, and Greek oregano prior to being charbroiled, the perfect rack comes from Greece's penchant for lamb. They love the protein and therefore have perfected how it is made for which we are grateful. The Rack of Lamb is only sold at market price so will vary from time to time but is well-worth ordering. It is not a surprise it is their #1 selling dish and that customers will come back to the restaurant specifically for the lamb. We have no qualms about coming back as well for the purpose of getting this dish; it is easily the best lamb that I've ever had up to this point. Juicy, tender, and full of flavor, the lamb had the perfect combination of seasoning and technique on the fine crisp from the charbroiling. We had the petite size composed of just five pieces but the regular order has eight glorious sections. Our other main plate was their Christakis Combo ($24 - two lamb chops, pastitsio, and a dolma), popular by combining three traditional and solid dishes onto one plate. Their dolma actually follows the authentic tradition of being stuffed with ground beef and rice, and it came covered in a lemon dill sauce, served warmed [Dolmades ($10 - grape leaves filled with ground sirloin, rice, and herbs topped with Avgolemono sauce)]. We enjoyed the tang from this and heartiness in each small bite. There was also the Pastitsio ($16 - baked macaroni and ground sirloin topped with shaved cheese and bechamel sauce) on the plate which can be likened to a Greek lasagna with layers of Greek pasta noodles, ground beef braised with tomato sauce wine and spices, and bechamel on top before being baked altogether. Slightly sweet, the slice of this on our plate was wholesome and soft, a real comforting food. All of their dinners are served with rice, oven-baked lemon potatoes, and sauteed green beans with Avgolemeno, all of which were welcome additions to the plate. If oven-baked potatoes are not your thing, consider Christakis' fries which are freshly cut, fried in olive oil, and pan-fried. "If you're honest and the food is from the heart with fresh ingredients, cook with love and be proud of what you do. I put my heart and soul into a dish and people can see it. It's competitive out there but we have that." 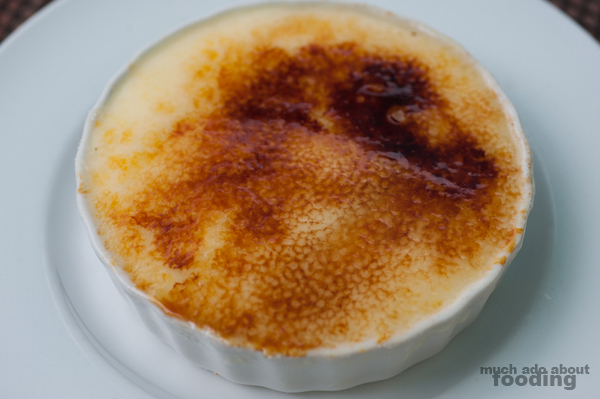 Our afternoon ended with a lovely but thick Greek creme brulee and was honored by the sound of Michael's uncle playing the accordion in the lobby, laughing jovially and smiling at everyone nearby. Inside, the framed Award of Excellence certificates from Wine Spectator stared down from a case and after speaking with sommelier Scott Reid, we learn of the restaurant's desire to earn more recognition for their wine list. The eclectic selection of Old and New World wines, with a focus on Greek wines, makes for easy drinking and community building while maintaining quality so we are not worried about Christakis' attempt at getting back into receiving those awards gotten nine years in a row when their father was alive. In fact, they are constantly having wine tastings and conducting wine pairing dinners to further expose their clientele to the selections. This is yet another sign of their commitment to evolving with the times while still maintaining their base philosophy. 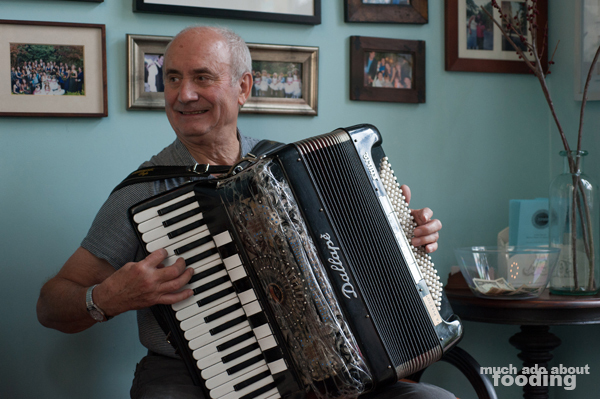 It is always a treat to learn more about family-owned restaurants and businesses in our local community, and the story behind Christakis is another one of those pleasures. Driven by the love and compassion of their late mother, the Wallaces have built up a restaurant of loyal clientele/friends, a close-knit supportive operating team, and constantly evolving but improving food. You can find their spot at 13011 Newport Ave #113, Tustin, CA 92780, and if you do visit, make sure you get your fingers on their delectable, perfect lamb! Photography by Duc Duong. More photos to be available on Facebook here.